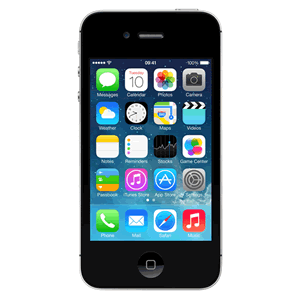 The iPhone 4s is a classic iPhone which took the ground-breaking features of the iPhone 4 and improved specifications and features dramatically with the later 4s model. There are often a number of refurbished iPhone 4s deals available so these can be appealing particularly if you are applying for a contract and have bad credit. There are fewer phone shops that offer the iPhone 4s than with the later iPhone models and some of the deals will be for refurbished models. This can work in your favour because the prices are usually very competitive with free iPhone 4s phones bundled into monthly contracts as low as £15 per month. The iPhone 4s is a bargain smartphone at the moment so if you have bad credit and want an iPhone contract, the 4s may represent the best chance of being accepted. For more tips on how to pass the phone contract application credit check see our get accepted page and then check out all the latest deals below. A review of the iPhone 4s on bad credit contracts. The iPhone 4s is a previous generation iPhone model that can be picked up on a bargain contract but is still a high performing and well featured phone. The iPhone 4s is noticeably smaller than the later versions of the iPhone range, in large part due to the fact that the iPhone 4s is the last of the iPhone's to house the 3.5 inch screen. All the later versions of the iPhone house a 4 inch screen. Understandably this makes the phone less tall, although the weight is similar between the 4s and the other phones in the range. The 4s comes as standard in the traditional black or white colours and even though the phone is now a few years old it still has a premium feel to it - arguably more so than the iPhone 5c because the 4s has a very stylish glass back (rather than the plastic back on the 5c). The iPhone 4s performs solidly and will happily run the vast majority of tasks that you would need it to do. It is powered by the Apple A5 dual-core processor which is the same processor that you will find in the iPad 2. The phone zips along admirably although if you want the absolute cutting edge performance you would need to go for the iPhone 5s. For an everyday phone that combines affordability and performance, the iPhone 4s is hard to beat though. The 4s is the last of the iPhone range to have the 3.5 inch screen as standard which means the phone is very portable and can be operated by one hand easily. The screen quality is up to the usual superb Apple standard. It has a Retina screen that is capable of outputting a resolution of 326 pixels per inch with a display of 960 by 640. This is in contrast with the display of 1146 by 640 that the iPhone 5s offers. Effectively, the quality of images on the screen is crystal clear on both but the lower display size on the 4s simply means that on the screen you will see four rows of icons on the home screen rather than five rows as per the 5s or 5c. The rear facing camera on the iPhone 4s is 8 megapixels which is the same as the iPhone 5c and 5s. When comparing photographs taken with the 4s with the 5c there is little difference in quality, although the premium 5s has a camera quality that is unsurpassed within the iPhone range. So if you use the 4s as your camera you won't be disappointed as the quality of snaps is very good. The front facing camera doesn't have the same quality as it is only VGA quality which means it captures photos at 640 by 480. This doesn't present a problem if you are using the phone for Facetime but if you tend to indulge in the odd selfie then your images might not be as clear as you would like. The battery department is probably the weakest part of the 4s as a whole. As with all iPhones it is not possible to open up the back of the phone to replace a broken or depleted battery with a new fully charged one so you really do need to manage the battery usage and/or have a charger available. The 4s uses the 30-pin connector for charging rather than the newer lightning connector on the latest iPhones but if you have owned Apple products in the past you may welcome being able to use your own existing cables rather than having to buy additional lighting connector cables. The lightning port offers slightly faster charging but as many leave their phones to charge overnight this doesn't really represent an issue. As usual you should not be surprised to have to charge your 4s each day if you use the phone regularly. If you would like to own an iPhone but you have a limited budget or poor credit the iPhone 4s would be a very good choice. Although it has been superseded by the two latest iPhone models (the 5c and 5s) it is still an extremely capable phone that only a couple of years ago was considered the best phone on the market. The 4s can run iOS 7 with no problems along with Siri and the latest apps. The camera is sharp and it can shoot 1080p video footage. There are quite a few deals available at the moment for refurbished iPhone 4s phones which represent amazing value - often at around £15 per month (with the iPhone 4s phone bundled free) so if you have bad credit and want an iPhone you can't go far wrong with the iPhone 4s on contract.